​I research every issue before I cast a vote or draft legislation. I think my legislative record speaks for itself and I encourage you to look into it. You may be surprised at some of my votes. I certainly agree with the assertion that: “Americans must be kept safe in schools, movie theaters, churches and other public gathering places with new legislation.” I have personally championed reforms to Georgia policy on domestic and international terrorism, which has strengthened the state’s ability to prevent terrorist acts, increased punishments for terrorist acts, broadened the language that defines terrorism, and given the Attorney General authority to prosecute terrorist acts. Under Georgia’s previous law, 10 people would have had to be killed to define a crime as an act of terror. To give you a real-life example of what that means, the Charleston church shooting, where nine people died, would not have been considered terrorism had it occurred in Georgia. Under the new law, attacks on as few as one person or on our critical infrastructure can be considered terrorism. But more important than prosecution is prevention. Legislation that I carried increases communication and information sharing between federal, state, and local law enforcement. My legislation has also created a Board of Homeland Security where experts in law enforcement, education, emergency management, and members of the private sector will continually bolster Georgia’s readiness plans making it increasingly harder for mass attacks to occur. In my role as a state Senator I will continue to protect you and other constituents from violent attacks and safeguard our Constitutional rights, including those guaranteed by the Second Amendment. ​As the son of a public school teacher I am committed to education and extremely proud that for the first time since 2003 - the Quality Basic Education funding formula for K-12 schools will be fully funded. I was also proud to support SB 3, better known as the CONNECT Act which creates a framework where students can receive on-the-job training and earn meaningful industry credentials while still in middle school or high school. The Department of Education will partner with private industries in Georgia so students can have internships and apprenticeships in real work environments. I was proud to support SB 402, the first step toward universal broadband in Georgia. Rural parts of our state are still lagging behind in modern telecommunications technology – specifically with access to the Internet. In 1935, the U.S. embarked on a mission to route electricity to every home in America, no matter how rural. Later additions of telephone service and eventually television helped to tie rural towns and big cities into one larger distinctly American society. 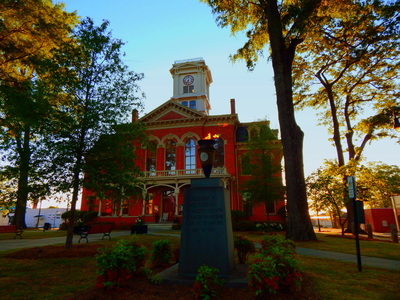 Just as President Roosevelt set a goal to electrify rural areas, the Georgia General Assembly is working to provide high-speed broadband Internet service to rural Georgia. In most rural areas, students have to drive to a McDonald’s so they can do their online homework. Doctors and hospitals have to set up their own networks to communicate outside their areas. Businesses are unable to locate themselves in some areas because they cannot effectively communicate online without significant network investment. SB 402 sets up the framework for universal rural broadband service that will make our Georgia communities competitive in the global economy. We proudly passed the first cut in the state tax rate in Georgia history. 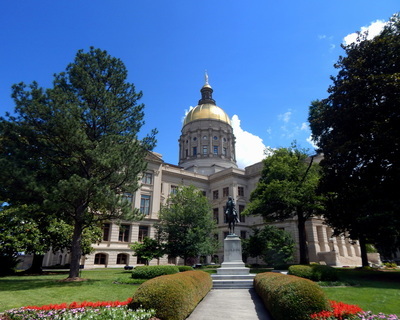 HB 918 reduces both the corporate income tax rate and the top personal income tax bracket rate to 5.75% in 2019. HB 918 also doubles the state income tax standard deduction from $2,300 to $4,600 for single taxpayers, from $1,500 to $3,000 for married taxpayers filing separately, and from $3,000 to $6,000 for married couples filing jointly. This is truly an across-the-board tax cut that proportionally favors those in the lower income brackets. A middle-class Georgia family of four with a household income of $50,000 will see a 16- percent tax decrease. Georgia families of four with household incomes of $75,000 will see a 12.5-percent decrease and a Georgia household of four making $150,000 would see a 10-percent income tax decrease. Though we won’t truly know the effect of the tax reforms at the federal and state levels, economists have estimated that HB 918 will save Georgians more than $5 billion over the next five years. That’s a lot of change; a lot of creativity and investment; and, therefore, a road toward a lot of growth. 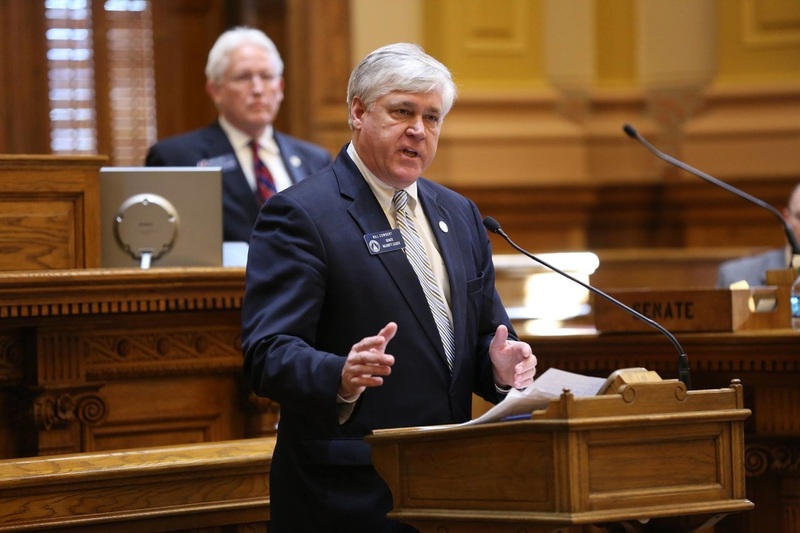 We in the Georgia General Assembly are working to ensure that Georgia continues to be the number one state for business and that we continue to migrate toward opportunity, creativity, and innovation.